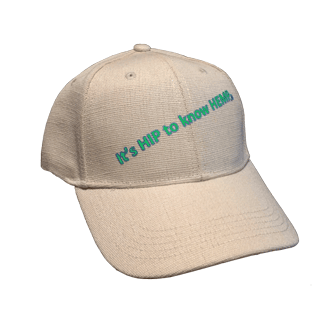 Get custom-printed hemp hats and shirts in Grand Junction CO at McDel Gifts & Gear Co.
Mission statement: Our goal is to facilitate the promotion of, and education about, agriculture related venues. Our intention is to also provide... financial information to aid in the promotion, education, and technology of agriculture, while maintaining its traditional and cultural values. Natural Order Supply helps your garden, stocking everything you need for a commercial cultivation operation. To help commercial cultivators operate more effectively, Natural Order Supply offers supply chain management services and wholesale accounts. Shop Hemp ~ Shop Local! Colorado Hemp Fest exists to serve family farms, small businesses, and our local communities. Without agriculture, there is no culture. Hemp History Week - The 7th Annual Hemp History Week is June 6-12, 2016. Together with grassroots organizers, leading hemp product manufactures, farmers and advocates from all walks of life we’re working to change federal policy on industrial hemp in the United States. Hemp Industries Association - P.O. Box 575, Summerland, CA 93067 - The Hemp Industries Association (HIA) is a non-profit trade association representing businesses, farmers, researchers and investors working with industrial hemp. At the forefront of the drive for fair and equal treatment of industrial hemp since 1994, the HIA has been dedicated to education, industry development, and the accelerated expansion of hemp world market supply and demand. National Hemp Association - 1460 Quince Ave. #102, Boulder, CO 80304 - Join our national campaign to fully legalize hemp at the federal level. Vote Hemp is a national, single-issue, non-profit advocacy group founded in 2000 by members of the hemp industry to remove barriers to industrial hemp farming in the U.S. through education, legislation and advocacy. Vote Hemp works to build grassroots support for hemp through voter education, registration and mobilization, as well as defend against any new laws, regulations or policies that would prohibit or restrict hemp trade.